I used a footprint I found on the internet assuming that there was good availability for it. But, I ended up having to order some weird USB connectors from a salvage shop in Poland. I guess that I felt lucky to have been able to find them at all. Unfortunately, I did the whole board and sent it to the shop before I was sure that I could buy everything. Always always check to make sure you can purchase the device you place on the board. 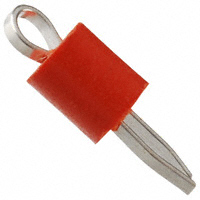 A tented via or a plugged via is a connection between the top and bottom of the printed circuit board that is covered with solder mask. 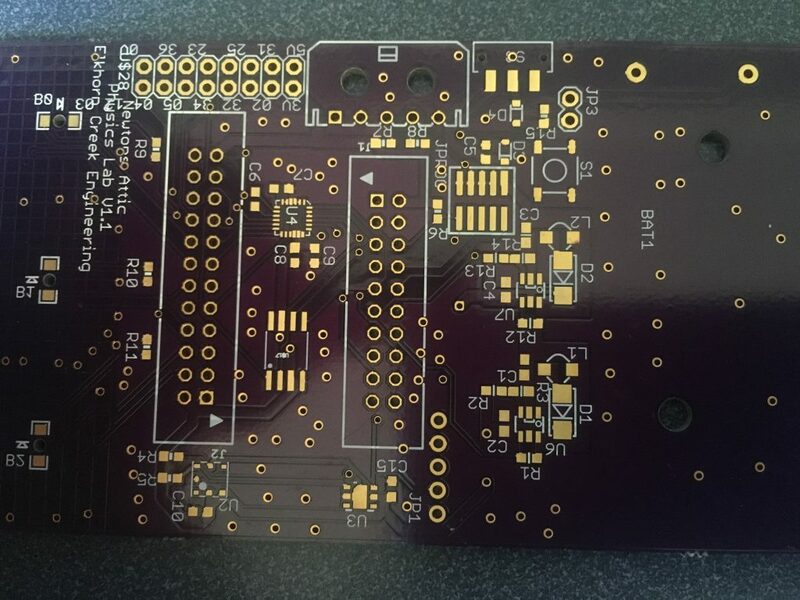 In general there are probably enough vias on your board that if you don’t cover them you will not be able to see the silkscreen (either because it won’t print on copper or because the PCB vendor will trim it). Here is a picture of one of the versions of Physics Lab where I forgot to tent the vias. In the upper left where it says “Elkhorn Creek Engineering” you can see that the “l” in Elkhorn and the “g” in Engineering is partially missing where there is a via in the board. 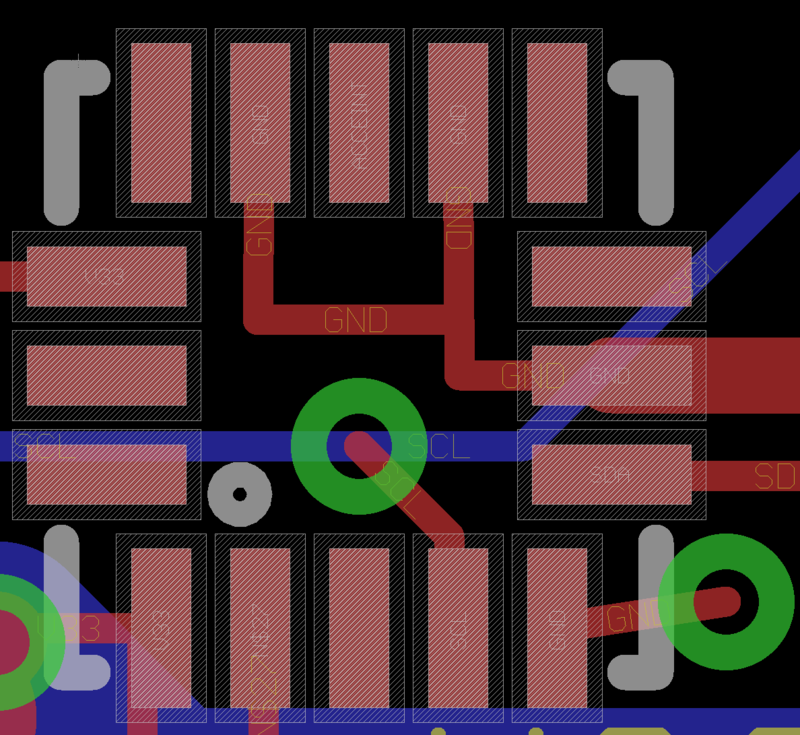 In Eagle PCB, Vias (and Pads) are automatically covered with the “tStop” mask. 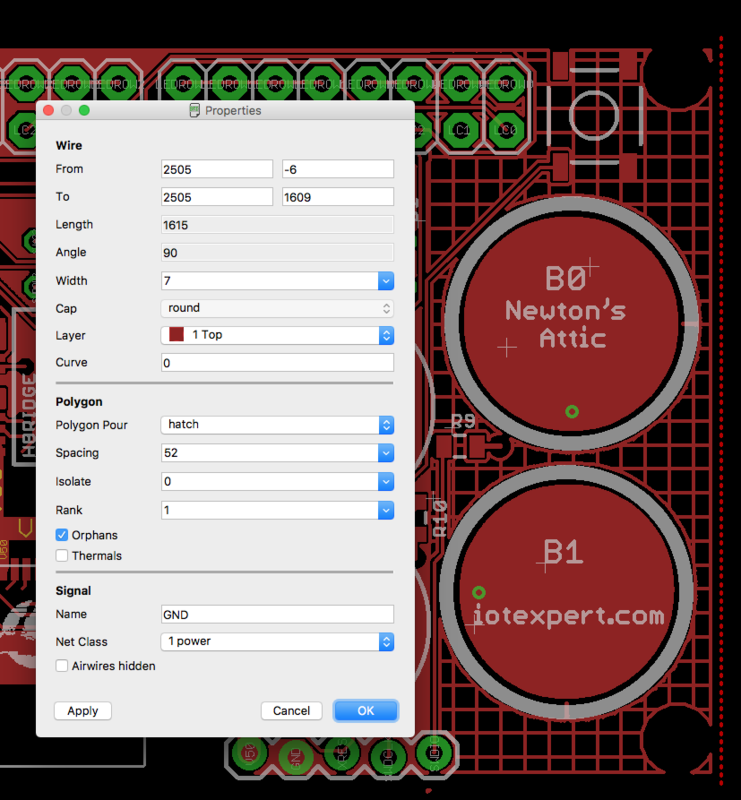 Here is a screen shot of a PCB that I am working on with just the “Pads”, “Vias” and “tStop” layers shown. You can see the “big” holes which are Pads for through-hole components. You can see that they have the diagonal white lines through them that represents the “tStop” mask. tStop is the mask that prevents the solder mask from being applied. In the picture you can also see the tStop on places where there are SMD pads. And, you can see a bunch of the smaller vias which are not covered. 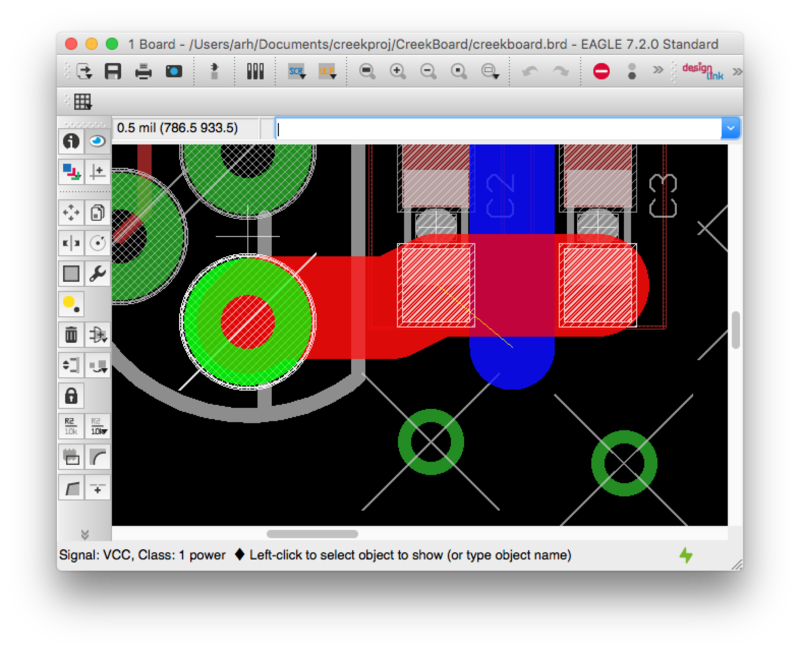 To tell Eagle PCB to turn off the tStop for vias you need to change the design rules on the “Tools->DRC->Masks” screen. 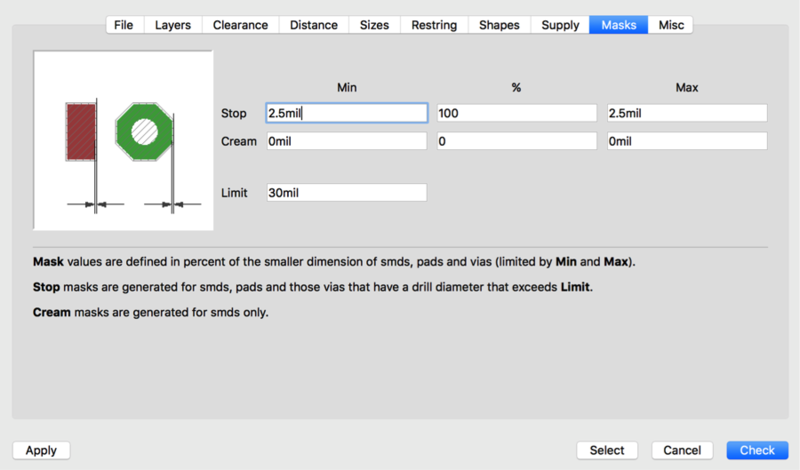 The limit parameter tells Eagle PCB to NOT create “tStop” for any via/pad that is less than 30mil in diameter. 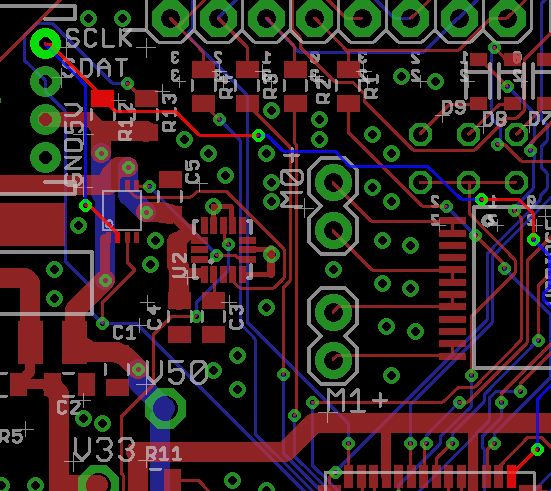 I always strive to keep all of the nets on my two layer print circuit boards to have no more than 2 vias. To look for this I click on the “eye” tool to probe each net of the layout, then I manually trace the net. Here is a screen shot of a net that I try to avoid. You can see that the net starts on the SMD pad in the lower right, then winds its way to the top left. It goes through 4 vias. Unfortunately it goes through one more via before reaching the SMD pad just below the upper left. I like the power and ground nets to be routed in at least 40mil wires. To do this, you first need to create another net class in the “Edit–>Net classes” menu. I always create a class called “power”. Then I set the minimum width to 40mil. If for some reason you want to have a minimum clearance or drill you can set this here as well. If you leave it at 0, Eagle PCB will use the default rules. After you have created the power net class, you then need to assign the correct nets to the net class. 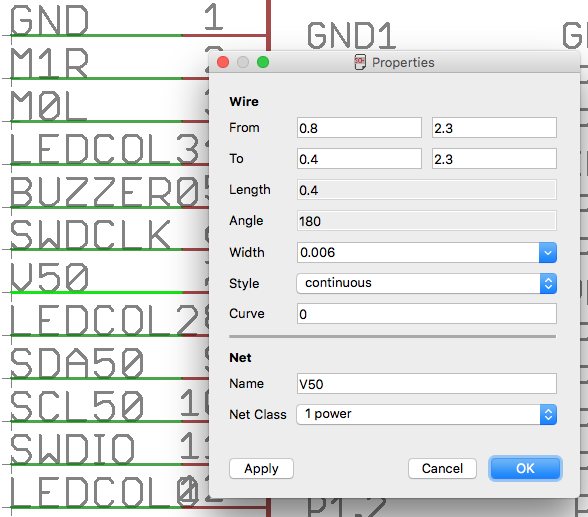 You do this in the schematic by selecting the “I” tool, then clicking on the net. Then you can select the “Net Class” for that net. In this case I am editing the V50 net. 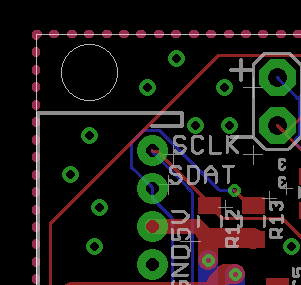 I am absolutely terrible at designing PCBs. This frustrates me to no end. One of the crutches that I like to use the the Eagle PCB Autorouter. 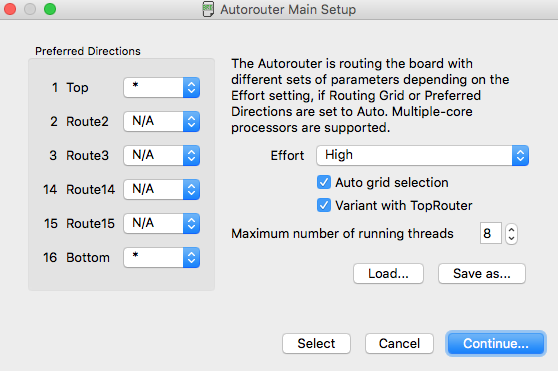 The only change that I currently make is to use the “*” option to let the router go whatever direction it thinks that it should. 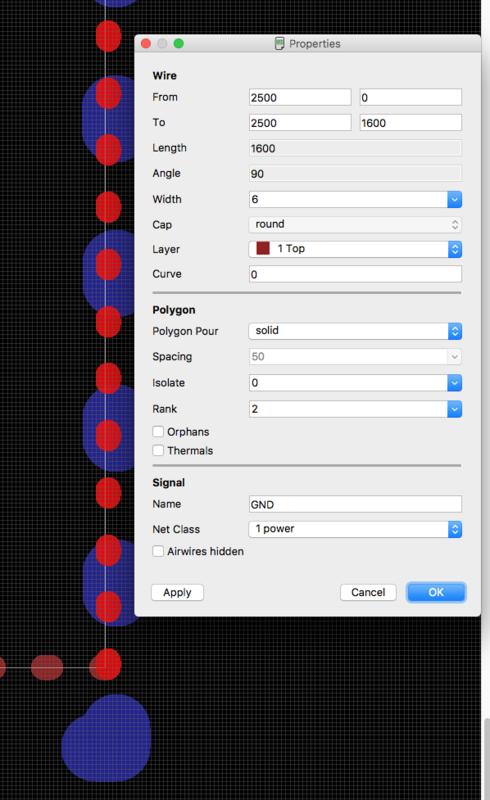 Draw a “polygon” around your board in the “top and bottom” layers. When you press the “ratsnest” button Eagle will fill the ground plane. The guidelines go on to recommend that you use 25% (7 width 45 spacing) coverage on the top and 17% (7 width 70 spacing) on the back. 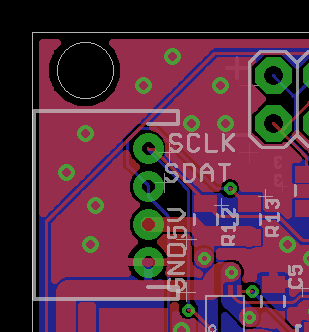 To do this in Eagle PCB you draw a normal polygon on the top and bottom. Then you use the name command to give it the “ground” name. Then you click the “i” to set the parameters. 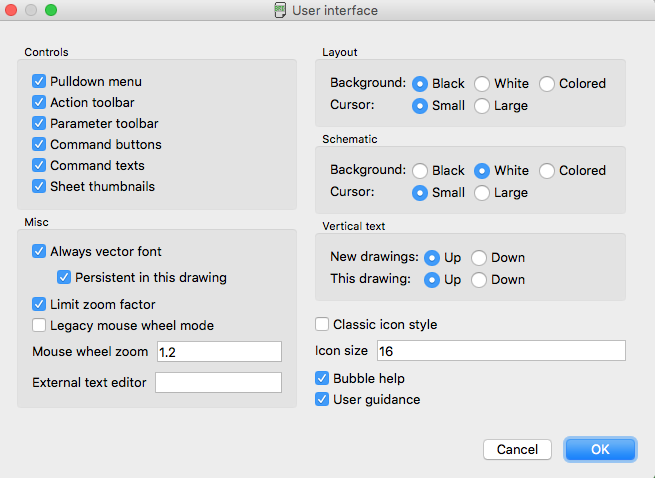 I believe that the best practice for your silkscreen fonts is to first tell Eagle PCB to use “Always vector font” on the “Options–>User Interface” menu. This will make what you see on the board much closer to what you see on the screen. There are two issues with font size. First, what can you see (Im 48… so my fine vision is going away) so I think 30mil is the absolute minimum. 40mil or 50mil is even better. 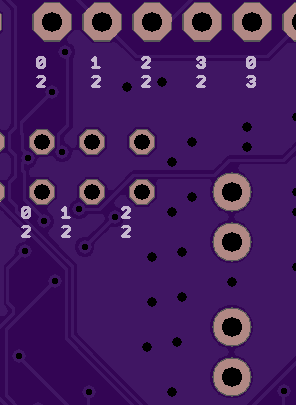 I am having my current PCB made at www.oshpark.com. I could not find their silkscreen spec on their website… but an OSH Park Person “tweeted” that they can print 5mil silkscreen. Given all of that. Your best bet is to use a “vector font”. When you select a vector font, you specify how tall the characters are, and how thick the lines are as a % of the height. 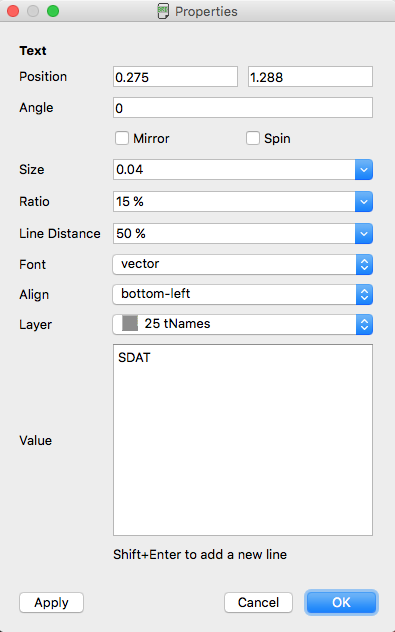 Here is a screenshot of my “SDAT” label. Don’t forget about the back of the board. 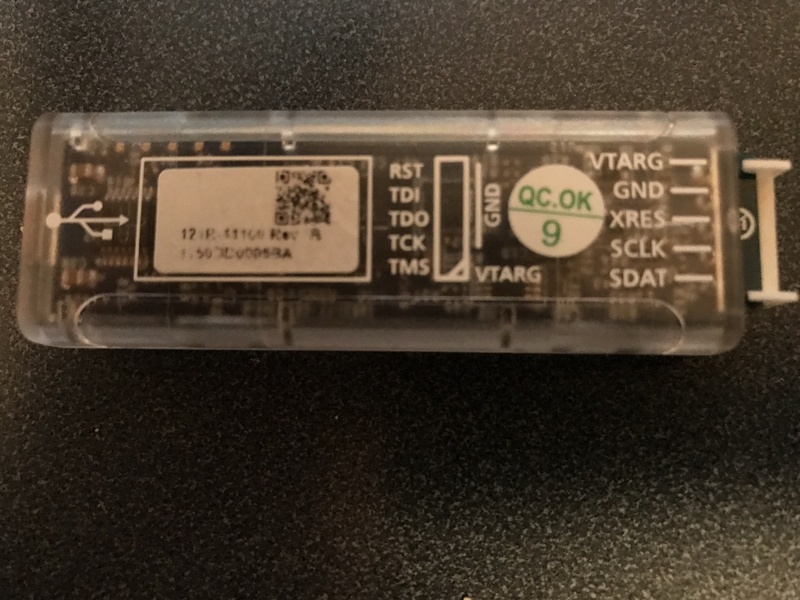 If you don’t put labels on the back, you will endup trying to figure out what the holes are (like the ones in the lower right) by flipping the board back and forth. You should also put in a 2x100mil spaced jumpers with a 0 ohm resistor shorting them in the path of the power so that you can measure the power supply current. If you have an I2C bus in your design, and you have room on the board, you should provide a place to plug in the 5-pin mini-prog3 to help you debug. 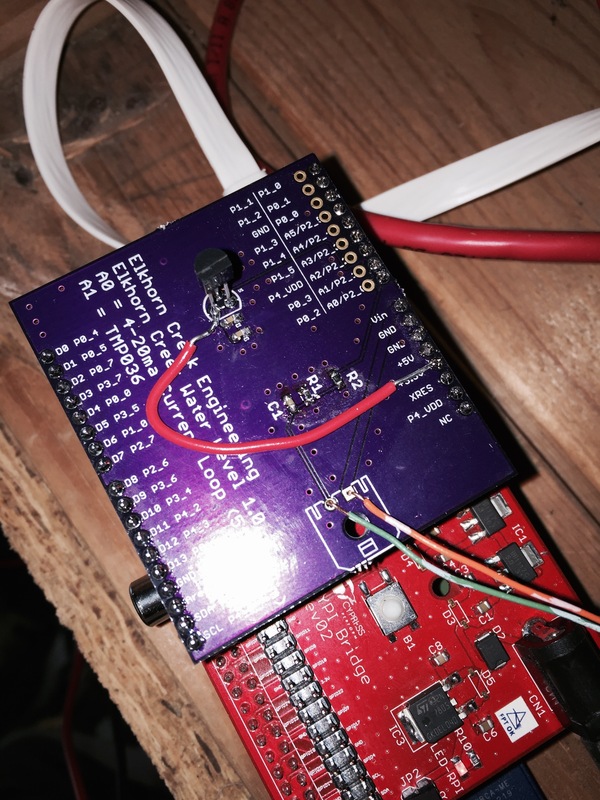 This will let you interact with chips on the bus without having completed the firmware for the central MCU. 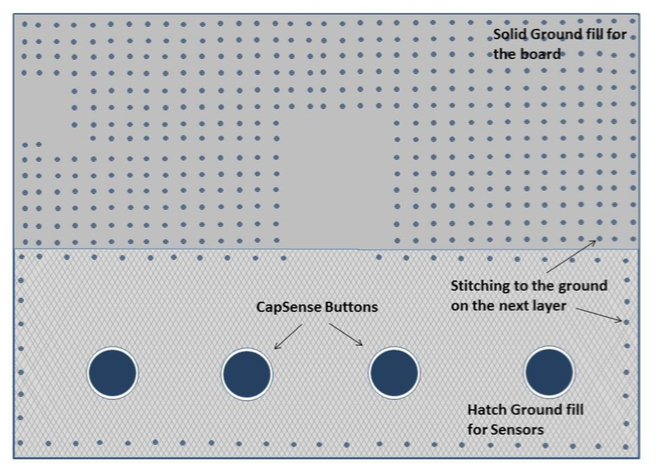 If you extend the edge of a QFN pad by 0.3mm past the edge of the chip, you will have some chance to be able to see that the original reflow worked (or didn’t). In addition you will give yourself a small chance to be able to rework it with a soldering iron. For example in the picture below you can see the pin one in from the left has no solder on it. I was able to successfully rework this pin with a soldering iron. If you have all solder mask under your QFNs it will be much easier to do the original reflow as it will push solder out from under the chip. 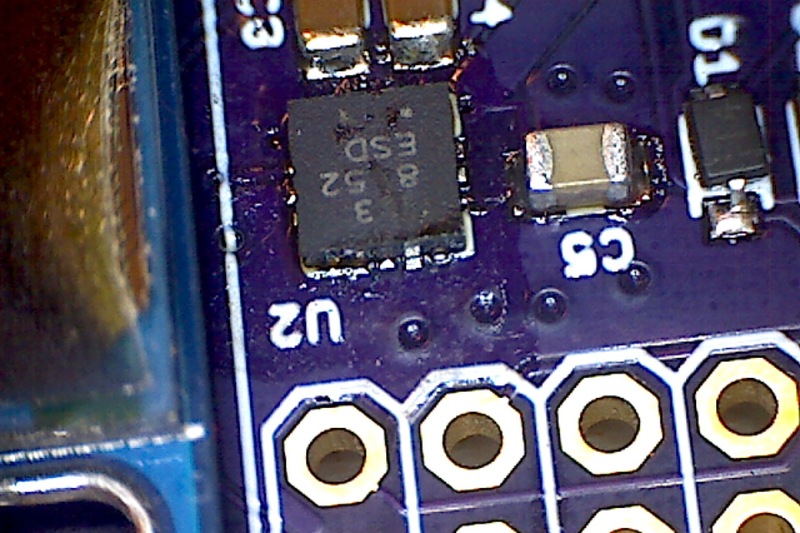 On tiny pitch QFNs if you have routing you may end up with a messy blob of solder. Here is an example of what not to do. 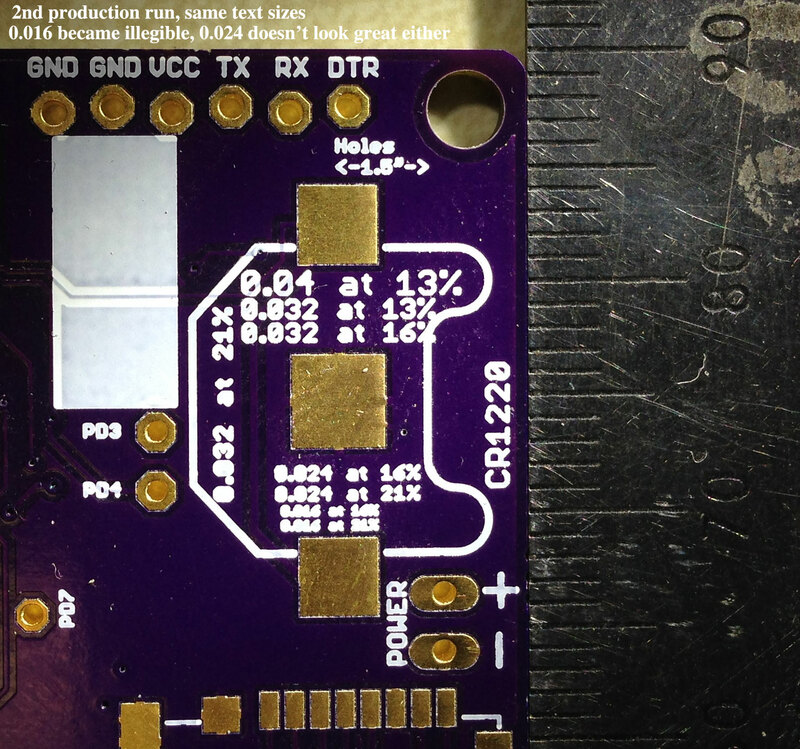 Try to use 0.65mm pitch QFNs as they are much easier to reflow. If you use 0.5mm pitch QFNs you are going to struggle to get them correct. If you use a pitch less than 0.5mm then good luck to you. I always open up the schematic and layout in side by side windows. 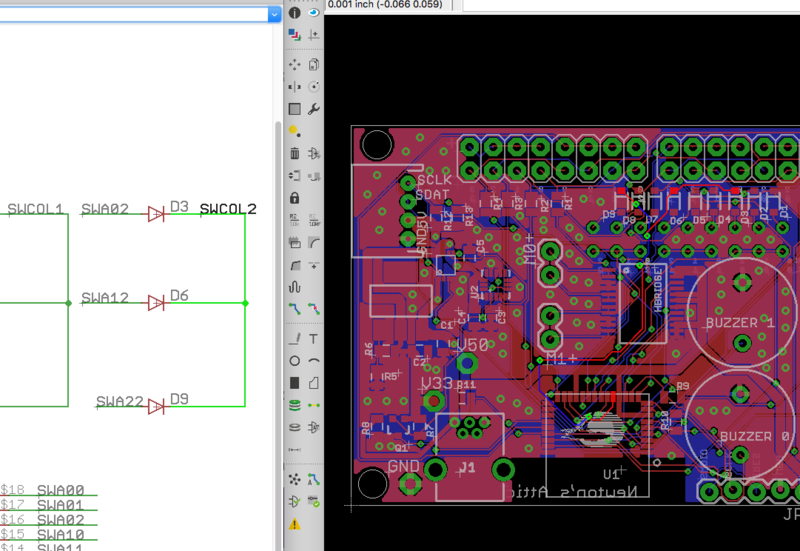 Then I click on each device in the schematic and look at the results in the layout. In the picture below I clicked on “SWCOL2”. This is called cross probing. You should look at each net one by one to make sure that nothing funky happened. You can also use the freedfm.com website to check your files. Two things that you should be aware of when you run your final DRC. If you setup a special rule for the power net-clasesses that is greater than the minimum rule you may want to turn it back to the minimum when you run the final DRC. 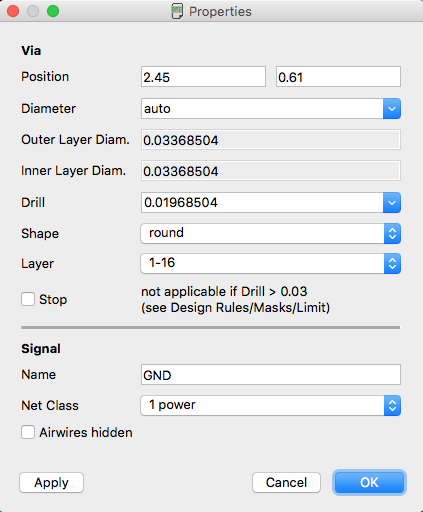 For example, when I setup the ground layer as a power layer, I set the minimum rule to be 40. Before I run the final DRC I set it back to 6. The Eagle Electrical Rule Checker (ERC) typically catches some problems. By far my biggest problem with the schematics in Eagle is that I occasionally make two wires “connect” by touching, but Eagle doesn’t think that they are connected. The ERC seems to catch this problem pretty well. You should at least run it and go through the errors to make sure that they are false. 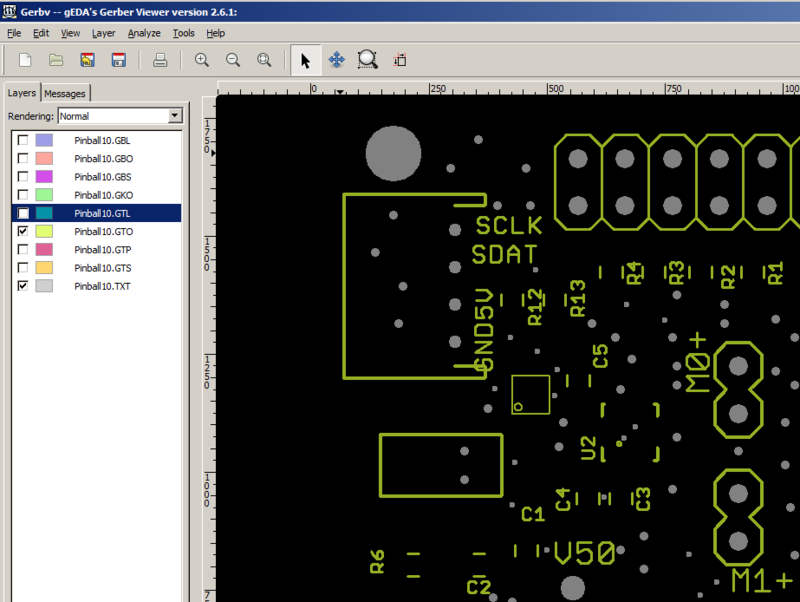 In order for OSH Park to make your PCB you need to make Gerber files. Actually, OSH Park can do that for you, but I recommend you do it for yourself so that you are sure what is going to get made. 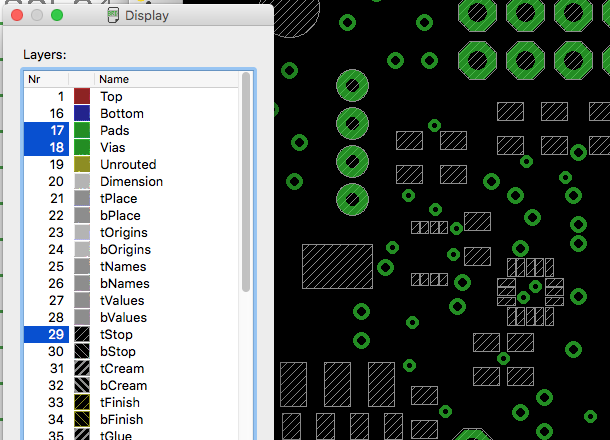 Gerber files are the lingua franca of the PCB business. 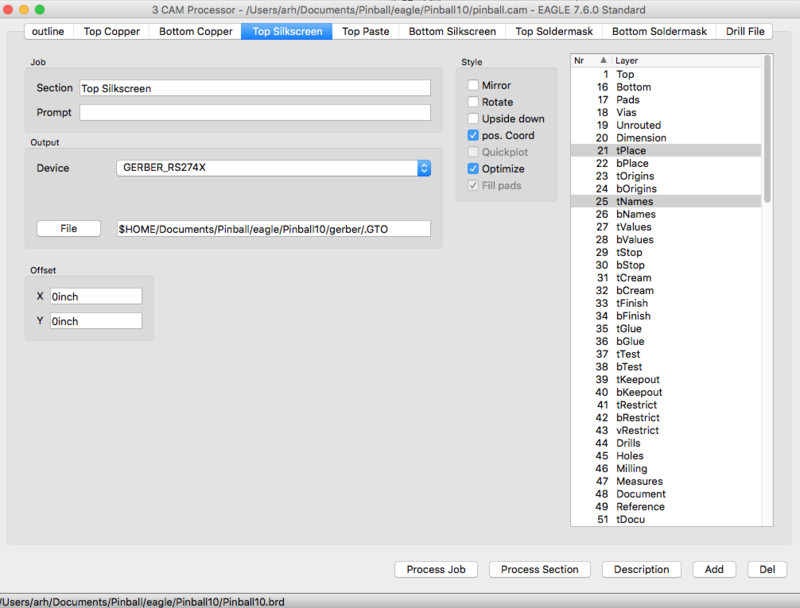 One file contains one layer for manufacturing, so you will need one file for each layer. The CAM job will have one “tab” for each layer that it creates. In the picture below you can see that I am making the Top Silkscreen. That layer is created by combining “tPlace” and “tNames” onto one layer and then writing it to the file “…/…/…/gerber/.GTO” in the GERBER_RS274X format. After you have the Gerber files you can look at them in gerbv which is an open source tool. Lastly, don’t forget your stencil. 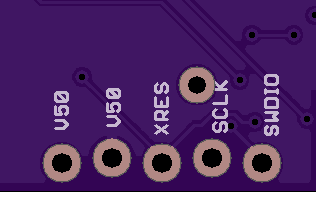 I buy mine from www.oshstencils.com which is linked to www.oshpark.com, so you can just select your solder mask from the project that you already uploaded. Hey Alan, thanks for the write up. 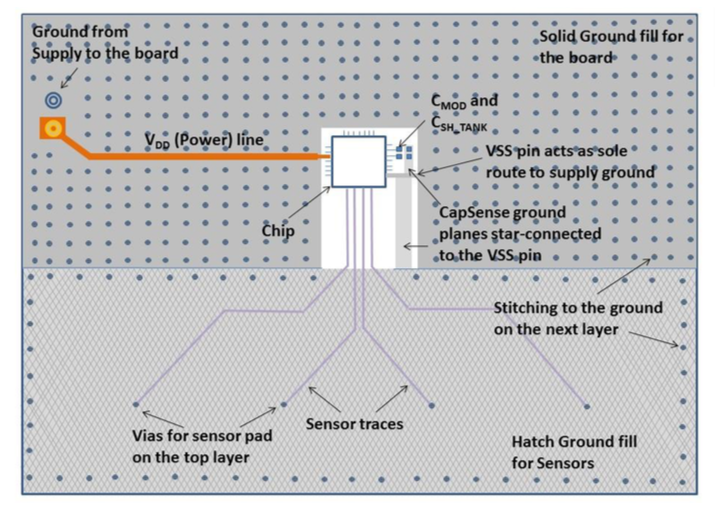 I was googling for tented vias in eagle and searching google image and found your post.